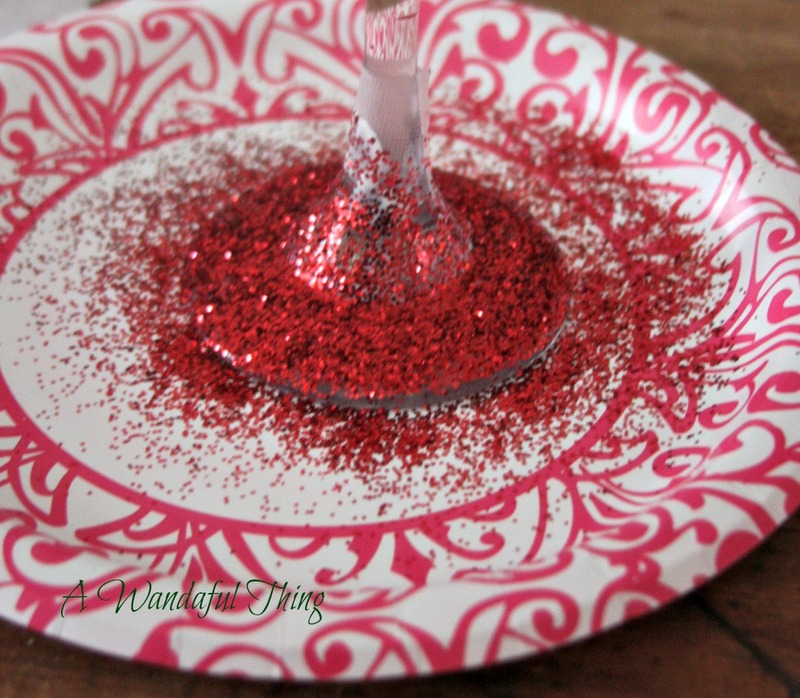 This is a very easy, inexpensive and an under 30 minute craft. It took about 20 minutes to dry. 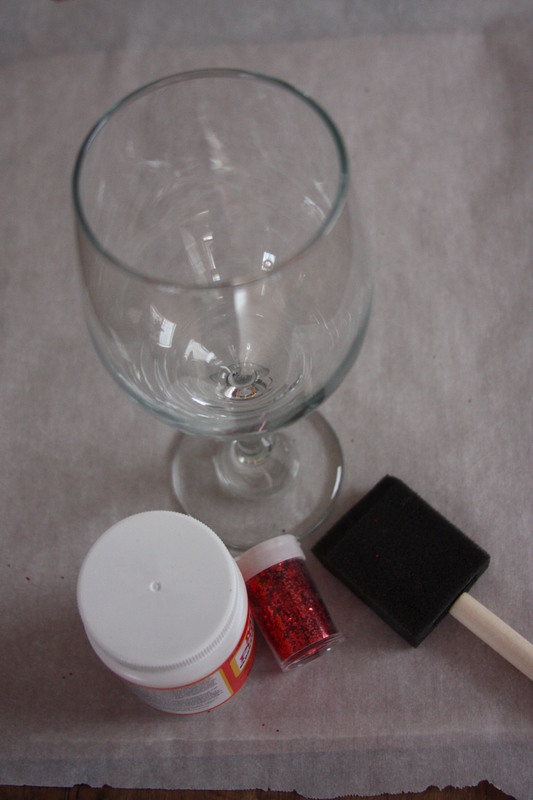 Voila a lovely glitter wine glass. I plan to use these on Valentine’s Day! 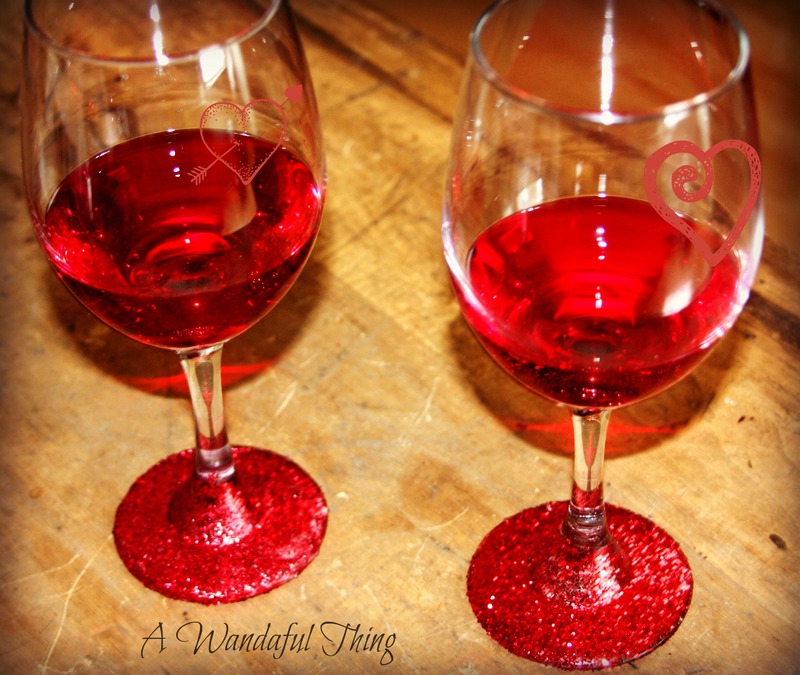 A simple, easy, inexpensive way to add a little glitter to any day, ah yes, it’s A Wandaful Thing!!! 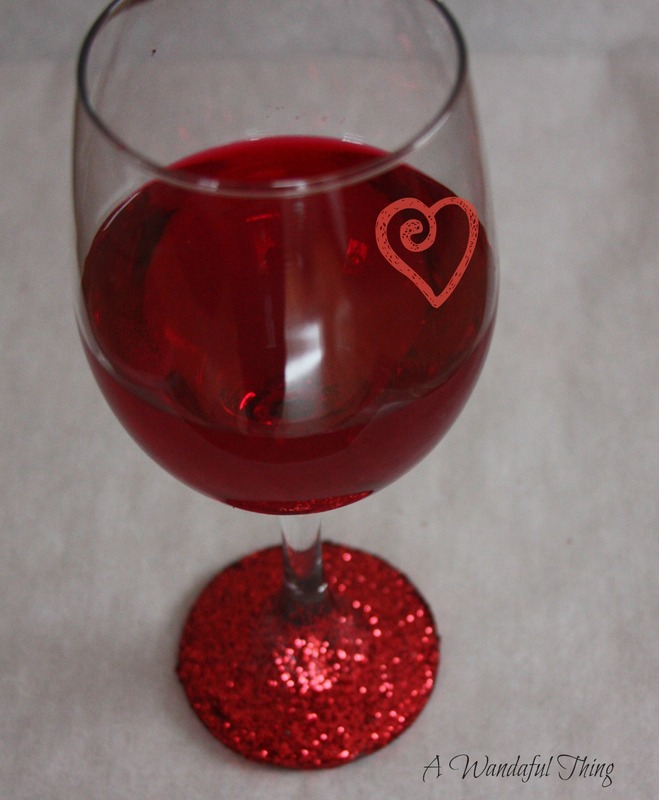 This entry was posted in DIY and tagged challenge, cheap, creativity, Decorate, DIY, easy, glass, glitter, inexpensive, red, romanitc, Valentine, wine. Bookmark the permalink.